1. Deschkа H, Holthaus AJ, Sindermann JR et al. Can perioperative right ventricular support prevent postoperative right heart failure in patients with biventricular dysfunction undergoing left ventricular assist device im plantation? J. Cardiothorac. Vasc. Anesth. 2016; 30 (3): 619–626. 2. John R, Lee S, Eckman P, Liao K. Right ventricular failure – a continuing problem in patients with left ventricular assist device support. J. Cardiovasc. Transl. Res. 2010; 3: 604–611. 3. Cushing K, Kushnir V. Gastrointestinal Bleeding Following LVAD Placement from Top to Bottom. Dig. Dis. Sci. 2016; 61 (6): 1440–1447. 4. Robertson J, Long B, Koyfman A. The emergency management of ventricular assist devices. Am. J. Emerg. Med. 2016; 34 (7): 1294–1301. 5. Castel MA, Cartana R, Cardona D et al. Long-term outcome of high-urgency heart transplant patients with and without temporary ventricular assist device support. Transplant. Procededing. 2012; 44: 2642–2644. 6. Barth E, Durand M, Heylbroeck C et al. Extracorporeal life support as a bridge to high-urgency heart transplantation. Clin. Transplant. 2012; 26: 484–488. 7. D’Alessandro C, Coldmar Jl, Lebreton G et al. Highurgency waiting list for cardiac recipients in France: single-center 8-years experience. Eur. J. Cardiothorac. Surg. 2017: 51: 271–278. 8. Kantrowith A. Experimental augmentation of coronary ﬂ ow by retardation of the arterial pressure pulse. Surgery. 1953; 34 (4): 678–687. 9. Kapelios CJ, Terrovitis JV, Sisrfs P et al. Counterpulsation: a concept with remarkable past, an established present and challenging future. Int. J. Cardiol. 2014; 172: 318–325. 10. Moulopoulos SD, Topaz S, Kolff W. Diastolic balloon pumping (with carbon dioxide) in the aorta: a mechanical assistance to the failing circulation. Am. Heart. J. 1962; 63: 669–675. 11. Kantrowith A, Tjonneland S, Krakauer J et al. Clinical experience with cardiac assistance by means of intra aortic phases shift balloon pump. Trans. Am. Soc. Artif. Intem. Organs. 1968; 63: 669–675. 12. Bregman D, Nichols AB, Weiss MB et al. Percutaneous intraaortic balloon insertion. Am. J. Cardiol. 1980; 46: 261–264. 13. Cohen M, Urban P, Christenson JT et al. Intra-aortic balloon pump in US and non-US center: results of Benchmark Registry. Eur. Heart. J. 2012; 33: 1763–1770. 14. Antman EM, Anbe DT, Armstrong PW et al. ACC/AHA guidelines for the management of patients with ST-elevation myocardial infarction – executive summary. Circulation. 2004; 110: 588–636. 15. Anderson JL, Adams CD, Antman EM et al. ACC/AHA guidelines for the management of patients with unstable angina/non ST-elevation myocardial infarction: a report of the American College of Cardiology/American Heart Association Task Force on Practice Guidelines. Circulation. 2007; 116: e148–e304. 16. Steg PG, James SK, Atar D et al. ESC guidelines for the management of acute myocardial infarction in patients presenting with ST-segment elevation. Eur. Heart. J. 2012; 33: 2569–2619. 17. Вицукаев ВВ, Завгородний ВН, Попцов ВН, Шумаков ДВ. Механическая и медикаментозная поддержка кровообращения в хирургическом лечении постинфарктных аневризм левого желудочка. Вестник трансплантологии и искусственных органов. 2010; 4: 44–52. Vicukaev VV, Zavgorodnij VN, Popcov VN, Shumakov DV. Mekhanicheskaya i medikamentozn aya podderzhka krovoobrashcheniya v hirurgicheskom lechenii postinfarktnyh anevrizm levogo zheludochka. Vestnik transplantologii i iskusstvennyh organov. 2010; 4: 44–52. 18. Шумаков ДВ, Попцов ВН, Саитгареев РШ и др. Гемодинамические и эхокардиографические эффекты превентивной внутриаортальной баллонной контрпульсации при прямой реваскуляризации миокарда у больных со стенозом ствола левой коронарной артерии. Грудная и сердечно-сосудистая хирургия. 2007; 1: 24–28. Shumakov DV, Popcov VN, Saitgareev RSh i dr. Gemodinamicheskie i ehkhokardiograﬁ cheskie ehffekty preventivnoj vnutriaortal’noj ballonnoj kontrpul’sacii pri pryamoj revaskulyarizacii miokarda u bol’nyh so stenozom stvola levoj koronarnoj arterii. Grudnaya i serdechno-sosudistaya hirurgiya. 2007; 1: 24–28. 19. Dyub AM, Whitlock AP, Abouzahr LL et al. Preoperative intra-aortic balloon pump in patients undergoing coronary bypass surgery; a systemic review and meta-analysis. J. Card. Surg. 2008; 23 (1): 79–86. 20. Lorusso R, Gelsamino S, Carella R et al. Impact of prophylactic intra-aortic balloon counter-pulsation on postoperative outcomes in high-risk cardiac surgery patients: a multicenter, propensity-score analysis. Eur. J. Cardiothorac. Surg. 2010; 38 (5): 585–591. 21. Parissis H, Soo A, Al-Alao B. Intra-aortic balloon pump (IABP): from the old trends and studies to the current «extended» indications of its use. J. Cardiothorac. Surg. 2012; Dec 11; 7: 128. doi: 10.1186/1749-8090-7-128. 22. Norkiene I, Ringaitiene D, Rucinskas K et al. Intra-aortic balloon counterpulsation in decompensated cardiomyopathy patients: bridge to transplantation or assist device. Interactive Cardiovascular and Thoracic Surgery. 2007; 6: 66–70. 23. Gjesdal O, Gude E, Arora E et al. Intra-aortic balloon counterpulsation as a bridge to heart transplantation does not impair long-term survival. Eur. J. Heart. Fail. 2009; 11 (7): 709–714. 24. Castleberry AW, DeVore AD, Southerland KW et al. Assessing consequences of intraaortic balloon counterpulsation versus left ventricular assist devices at the time of heart transplantation. ASAOI. 2016; 62: 232–239. 25. Freed PS, Wasﬁ e T, Zado B, Kantrowitz A. Intraaortic balloon pumping for prolonged circulatory support. Am. J. Cardiol. 1988; 61: 554–557. 26. Mayer JH. Subclavian artery approach for insertion of intraaortic balloon. J. Thorac. Cardiovasc. Surg. 1978; 76: 61–63. 27. McBridge LR, Miller LW, Nauheim KS, Pennigton DG. Axillary artery insertion of an intra-aortic balloon pump. Ann. Thorac. Surg. 1989; 48: 874–875. 28. H’Doubler PB, H’Doubler WZ, Bien RC, Jansen DA. A novel technique for intra-aortic balloon pump placement via the left axillary artery in patients awaiting cardiac transplantation. Cardiovasc. Surg. 2000; 8: 463–465. 29. Buchanan SA, Langenburg SE, Mauney MC et al. Ambulatory intraaortic balloon counterpulsation. Ann. Thorac. Surg. 1994; 58: 1547–1549. 30. Cochran RP, Starkey TD, Panos AL et al. Ambulatory intraaortic balloon pump use as bridge to heart transplant. Ann. Thorac. Surg. 2002; 74: 746–752. 31. Thiele H, Lauer B, Hambrecht R et al. Reversal of cardiogenic shock by percutaneous left atrial-to-femoral arterial bypass assistance. Circulation. 2001; 104: 2917–2922. 32. Bruckner BA, Jacob LP, Gregoric ID et al. Clinical experience with the Tandem Heart Percutaneous Centricular Assist Device. Tex. Heart. Inst. J. 2008; 35 (4): 447–450. 33. Indelchik GM, Simpson L, Civitello AB et al. Use of the percutaneous left ventricular assist device in patients with severe refractory cardiogenic shock as a bridge to long-term left ventricular assist device implantation. J. Heart. Lung. Transplant. 2008; 27: 106–111. 34. Gregoric JD, Jacob LP, La Francesca S et al. The Tandem Heart as a bridge to a long-term axial-ﬂ ow left ventricular assist device (bridge to bridge). Tex. Heart. Inst. J. 2008; 35 (2): 125–129. 35. La Francesca S, Palanichamy N, Kar B et al. First use of the Tendem Heart percutaneous left ventricular assist device as a short-term bridge to cardiac transplantation. Tex. Heart. Inst. J. 2006; 33 (4): 490–491. 36. Mandawat A, Rao SV. Percutaneous mechanical circulatory support devices in cardiogenic schock. Circ. Cardiovasc. Interv. 2017; 10: e004337. 37. Шумаков ВИ, Хубутия МШ, Казаков ЭН. Десятилетний опыт обхода левого желудочка при лечении острой сердечной недостаточности. Трансплантология и искусственные органы. 1997; 1: 20–21. Shumakov VI, Hubutiya MSh, Kazakov EhN. Desyatiletnij opyt obhoda levogo zheludochka pri lechenii ostroj serdechnoj nedostatochnosti. Transplantologiya i iskusstvennye organy. 1997; 1: 20–21. 38. Шумаков ВИ, Толпекин ВЕ, Шумаков ДВ. Искусственное сердце и вспомогательное кровообращение. М., 2003: 102–176. Shumakov VI, Tolpekin VE, Shumakov DV. Iskusstvennoe serdce i vspomogatel’noe krovoobrashchenie. M., 2003: 102–176. 39. Adamson RM, Dembitsky WP, Reichman RT et al. Mechanical support: assist or nemesis? J. Thorac. Cardiovasc. Surg. 1989; 98: 915–921. 40. Curtis JJ, Walls JT, Schmaltz RA et al. Improving clinical outcome with centrifugal mechanical assist for postcardiotomy ventricular failure. J. Artif. Organs. 1995; 19 (7): 761–765. 41. Nishida H, Koyanagi H. Rotary blood ﬂ ow: paracorporeal, implantable, percutaneous? J. Artif. Organs. J. 1997; 21 (7): 589–591. 42. Curtis JI. Centrifugal mechanical assist for postcardiotomy ventricular failure. Sem. Thorac. Cardiovasc. Surg. 1994; 6: 140–146. 43. Pae WE, Miller CA, Mathews Y et al. Ventricular assist devices for postcardiothomy cardiogenic shock. J. Thorac. Cardiovasc. Surg. 1992; 104: 541–553. 44. Noon GP, Ball JW, Papaconstantinou HT. Clinical experience with BioMedicus centrifugal ventricular support in 172 patients. J. Artif. Organ. 1995; 19: 756–760. 45. Nose Y, Kawahito K, Nakazava T. Can we develop a nonpulsatile permanent blood pump? J. Artif. Organs. 1996; 20: 467–471. 46. Nakata K, Yoshikawa M, Takano T et al. Antithrombogenicity evaluation of a centrifugal blood pump. Artif. Organs. 2000: 24 (8): 667–670. 47. Takano T, Nakata K, Yoshikava M et al. Development of an antithrombogenic and antitraumatic blood pump: the Gyro C1E3. ASAIO. J. 2000; 46: 123–127. 48. Шумаков ВИ, Толпекин ВЕ., Казаков ЭН и др. Первый клинический опыт двухэтапной трансплантации серд ца через обход левого желудочка. Трансплантология и искусственные органы. 1997; 3: 4–6. 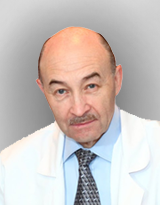 Shumakov VI, Tolpekin VE, Kazakov EhN i dr. Pervyj klinicheskij opyt dvuhehtapnoj transplantacii serdca cherez obhod levogo zheludochka. Transplantologiya i iskusstvennye organy. 1997; 3: 4–6. 49. Шумаков ДВ. Механическая поддержка кровообращения в клинике. Дис. … д. м. н. 2000. Shumakov DV. Mekhanicheskaya podderzhka krovoobrashcheniya v klinike. Dis. … d. m. n. 2000. 50. Ichikawa S, Nose Y. Centrifugal blood pumps for various clinical needs. J. Artif. Organs. 2002; 26: 916–918. 51. Kehara H, Takano T, Trasaki T, Okada K. Biventricular support using a centrifugal pump in a 6 years old with fulminant myocarditis. J. Artif. Organs. 2017; 20: 166– 169. 52. Santise G, Petrou M, Pepper JR et al. Levitronix as a short-term salvage treatment for primary graft failure after heart transplantation. J. Heart. Lung. Transplant. 2006; 25: 495–498. 53. Hoshi H, Shinshi T, Takanaki S. Third-generation blood pumps with mechanical noncontact magnetic bearing. J. Artif. Organs. 2006; 30: 324–338. 54. Robertis F, Birks EJ, Rogers P et al. Clinical performance with Centrimag short-term ventricular assist device. J. Heart. Lung. Transplant. 2006; 25: 181–186. 55. De Robertis F, Rogers P, Amrani M et al. Bridge to decision using the Levitronix CentriMag short-term ventricular assist device. J. Heart. Lung. Transplant. 2008; 27: 474–478. 56. Asama J, Shinshi T, Hoshi H et al. A compact highly efﬁ cient and low hemolytic centrifugal blood pump with a magnetically levitated impeller. J. Artif. Organs. 2006; 30: 160–167. 57. Shuhaiber JH, Jenkins D, Berman M et al. The Papworth experience with Levitronics CentriMag ventricular assist device. J. Heart. Lung. Transplant. 2008; 27: 158–164. 58. Haj-Yahia S, Birks EJ, Amrani M et al. Bridging patients after salvage from bridge to decision directly to transplant by means of prolonged support with the CentriMag short-term centrifugal pump. J. Thorac. Cardiovasc. Surg. 2009; 138: 227–230. 59. Ratcliffe MB, Bavaria JE, Wenger RK et al. Left ventricular mechanics of ejecting postischemic hearts during left ventricular circulatory assistance. J. Thorac. Cardiovasc. Surg. 1991; 101: 245–255. 60. McCarthy PM, Savage RM, Fraser CD et al. Hemodynamic and physiological changes during support with an implantable left ventricular assist device. J. Thorac. Cardiovasc. Surg. 1995; 109: 409–417. 61. Tsai FC, Marelli D, Laks H et al. Short-term bridge to heart transplant using the BVS 5000 external ventricular assist device. Am. J. Transpl. 2002; 2: 646–651. 62. Sung S-Y, Hsu P-S, Chen J-L et al. Prolonged use of Levitronicx left ventricular assist device as a bridge to heart transplantation. Acta Cardiol. Sin. 2015; 31: 249–252. 63. Barlett RH, Isherwood J, Moss RA et al. A toroidal ﬂ ow membrane oxygenator: four day partial bypass in dogs. Surg. 1969; 20: 152–153. 64. Barlett RH, Noyes BSJr., Drinker PA. A simple reliable membrane oxygenator for organ perfusion. J. Appl. Physiol. 1970; 29 (5): 758–759. 65. Gillle JP, Bagniewski AM. Ten years of use of extracorporeal membrane oxygenation (ECMO) in the treatment of acute respiratory insufﬁ ciency (ARI). Trans. Am. Soc. Artif. Inern. Organs. 1976; 22: 102–109. 66. Hill JD, O’Brien TG, Murray JJ et al. Prolonged Extracorporeal oxygenation for acute post-traumatic respiratory failure (shock-lung syndrome): Use of Bramson Membrane Lung. N. Engl. J. Med. 1972; 286: 629–634. 67. Barlett RH, Burns NE, Fog SW et al. Prolonged partial venoarterial bypass: physiologic, biochemical, and hematologic responses. Surg. Forum. 1972; 23: 178–180. 68. Barlett RH, Gazzaniga AB, Fong SW et al. Extracorporeal membrane oxygenator support for cardiopulmonary failure. Experience in 28 cases. J. Thorac. Cardiovasc. Surg. 1977; 73 (3): 375–386. 69. Kittleson MM, Patel JK, Moriguchi JD et al. Heart transplant recipients supported with extracorporeal membrane oxygenation: outcomes from a single-center experience. J. Heart. Lung. Transplant. 2011; 30 (11): 1250–1256. 70. Yang HY, Lin CY, Tsai YT et al. Experience of heart transplantation from hemodynamically unstable brain-dead donors with extracorporeal support. Clin. Transplant. 2012; 26: 72–76. 71. Loisance D, Hillion ML, Deleuze P et al. Extracorporeal circulation with membrane oxygenation as a bridge to transplantation in cardiac surgical patients. Transplant. Proc. 1987; 19 (5): 3786–3788. 72. Fux T, Svenarud P, Grinnemo KH et al. Extracorporeal membrane oxygenation as a rescue of intractable ventricular ﬁ brillation and bridge to heart transplantation. Eur. J. Heart. Fail. 2010;12 (3): 301–304. 73. Bigdeli AM, Deutsch M-A, Beiras-Fernandez A et al. ECMO after prolonged cardiopulmonary resuscitation as a successful bridge to immediate cardiac retransplant in a 6-year-old girl. Experimental and clinical transplantation. 2012; 10: 186–189. 74. Stehlik J, Edwards LB, Kucheryavaya AY et al. The Registry of the International Society for Heart and Lung Transplantation: 29th ofﬁ cial adult heart transplant report–2012. J. Heart. Lung. Transplant. 2012; 31: 1052– 1064. 75. D’Alessandro M, Laali E, Barreda JL et al. Evolution of recipient and donor proﬁ les in cardiac transplantation: single-centre ten-year experience. Interactive Cardiovasc. Thorac. Surg. 2012; 15 (suppl. 2): S 92. 76. Chung JC, Tsai PR, Chou NK et al. Extracorporeal membrane oxygenation bridge to adult heart transplantation. Clin. Transplant. 2010; 24 (3): 375–380. 77. Wang SS, Ko WJ, Chen YS et al. Mechanical bridge with extracorporeal membrane oxygenation and ventricular assist device to heart transplantation. Artif. Organs. 2001; 25 (8): 599–602. 78. Di Russo GB, Clark BJ, Bridges ND et al. Prolonged extracorporeal membrane oxygenation as a bridge to cardiac transplantation. Ann. Thorac. Surg. 2000; 69 (3): 925–927. 79. Gurbanov E, Meng X, Cui Y et al. Evaluation ECMO in adult cardiac transplantation: can outcomes of marginal donor hearts be improved? J. Cardiovasc. Surg. (Torino). 2011; 52 (3): 419–427. 80. Ganslmeier P, Phillipp A, Rupprecht L et al. Percutaneous cannulation for extracorporeal life support. Thorac. Cardiovasc. Surg. 2011; 59 (2): 103–107. 81. Fumagalli R, Bombino M, Borelli M et al. Percutaneous bridge to heart transplantation by venoarterial ECMO and transaortic left ventricular venting. Inter. J. Artif. Organs. 2004; 27 (5): 410–413. 82. Seib PM, Faulkner SC, Erickson CC et al. Blade and balloon atrial septostomy for left heart decompression in patients with severe ventricular dysfunction on extracorporeal membrane oxygenation. Cather. Cardiovasc. Interv. 1999; 46 (2): 179–186. 83. Hong KN et al. Who is high-risk recipients? Predicting mortality after heart transplant using pretransplant Donor and Recipient risk factors. Ann. Thorac. Surg. 2011; 92: 520–527. 84. BarZiv SM, McCrindle BW, West LJ et al. Outcomes of pediatric patients bridged to heart transplantation from extracorporeal membrane oxygenation support. ASAIO J. 2007; 53 (1): 97–102. 85. Chen YS, Ko WJ, Chi NH et al. Risk factor screening scale to optimize treatment for potential heart transplant candidates under extracorporeal membrane oxygenation. Am. J. Transplant. 2004; 4 (11): 1818–1825. 86. Groemmer M, Aliabadi AZ, Eskandary FA et al. Extracorporeal membrane oxygenation in cardiac transplantation: rescue or jinx? Inter. Cardiovasc. Thorac. Surg. 2012; 15 (suppl. 2): S 122.